This Sunday (7 April 2019), join us live at the Royal Albert Hall, where we’ll be announcing the winners of this year’s Olivier Awards with Mastercard! Of course, if you fancy suiting up yourself, tickets to theatre’s biggest night are still available exclusively for Mastercard cardholders via priceless.com. But if not, there are plenty of ways to see the show, and more, all from the comfort of your own home. Be inspired by live performances and exclusive interviews, plus get a sneak peek behind the scenes at theatre’s biggest night by tuning in to Facebook, Twitter, Instagram and ITV. Be sure not to miss OfficialLondonTheatre.com’s live updates from the Royal Albert Hall throughout the evening. As the official media partner of the Olivier Awards, we’ll be bringing together exclusive snippets, stars, social shares and GIFs from the evening – don’t miss it! 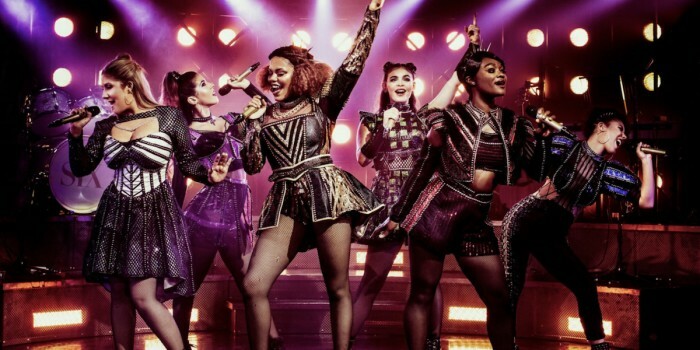 If the nominations have inspired you, here are the 10 Olivier Award-nominated shows you can (and should) see while you've got the chance. From 4pm to 5.30pm, we’ll be Live From The Red Carpet with some star hosts. We’ll be welcoming the biggest stars of the West End, feeling out any friendly competition between the nominees, and fawning over the stunning outfits. It can all be seen exclusively on Facebook. During the ceremony (from 6pm), see content creator and best-selling author Louise Pentland, who will be backstage interviewing the winners as soon as they receive their awards. Get their honest reactions and celebrations before anyone else, exclusively on Twitter. Looking to continue the party across the entire evening? While the action takes a break at the mid-way point, make sure you enjoy our special interval Backstage show on Facebook. With a special 20th anniversary celebration of Disney’s The Lion King! Keep the party going by joining us on Twitter, Instagram and Facebook where we’ll be sharing news, gossip and peeks backstage ALL. NIGHT. LONG. You can also listen to the full ceremony live on Magic Radio, hosted by Ruthie Henshall and Alice Arnold, from 5pm. Be part of the drama on Sunday 7 April. It’s going to be one hell of a show. Find out more about this year’s Olivier Awards, here.